Businesses in London and all over the UK are facing challenges due to the effects of the recent Brexit, but the prestige of this great city still creates promise for finance and commerce. Whether you are starting out as a solo entrepreneur, or launching a small to medium sized business, you will need some form of office space – and there are more options available in London than you may think! Virtual office space is fast becoming one of the most popular forms of office space for start-up businesses. This is because it is one of the most affordable and flexible options. For those of you who are unaware as to what virtual office space is exactly, allow us to explain – virtual office space will provide your company with a prestigious business address, off-site communications and mail services, all without the need of renting an actual London based office. Serviced office space is also a great solution, as everything you need is provided for you in one easy and flexible package! By renting serviced office space in Central London, you will benefit from a fully equipped, furnished, decorated, cleaned and maintained office space environment. Your rental fees, utility bills and business rates are all included in one monthly fee which makes budgeting simple. There is also the option to expand, contract or relocate at short notice which is ideal for businesses in their early stages. Shared office space is another worthwhile option for your new business, as the networking possibilities are endless. Sharing your working environment with like-minded professional individuals can work wonders if you are launching a business in London. London has a vast range of areas, districts and locations that may suit your specific business sector, thus helping your new company become a success. However, it is important to remember that locations on the city fringe or those outside of the city centre will have cheaper rental rates. 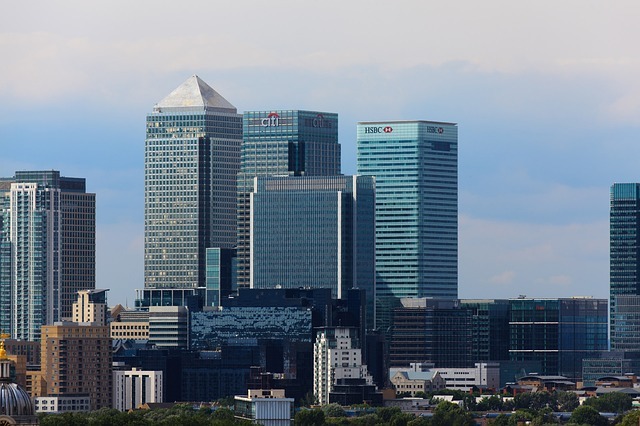 Below are some of London’s most popular business districts and office space locations. Renting office space in the City of London is an excellent choice, as this district is an International hub for financial institutes. Businesses associated with finance, banking, accountancy, law, investment and insurance should certainly consider renting serviced offices in this world famous district. The West End is London’s commercial capital making it a great choice for companies within the retail, tourism, entertainment, hospitality, media and creative sectors. Old Street and Shoreditch are increasingly popular locations for start-up companies within the IT, technology and research sectors. Clerkenwell and Farringdon are ideal locations for companies within the media, publishing, creative and corporate sectors, along with businesses associated with entertainment and food & drink. London has been a popular choice for expats to launch a business venture for many years. The recent economic downturn has not hindered those within the start-up phase, as many can obtain financial backing from the government and private sources that are happy to invest in the backbone of Britain. Not only is the business sector thriving, but the culture and quality of life that London provides is something that expats – and locals will always remember.